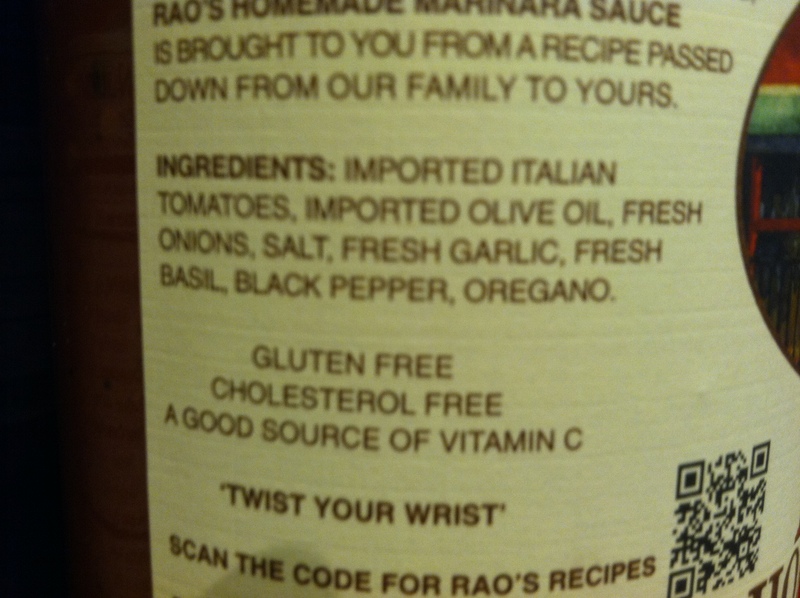 How the heck do I choose a tomato sauce in Whole Foods? First of all, wait for a sale. 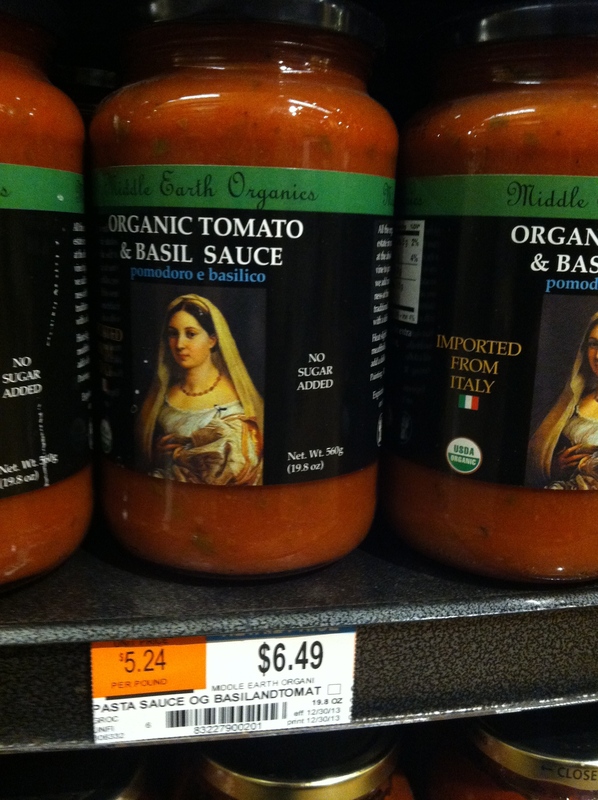 I have noticed that most brands of tomato sauce go on sale at least twice a year. Whole Foods prices are high, but their sales are pretty good! 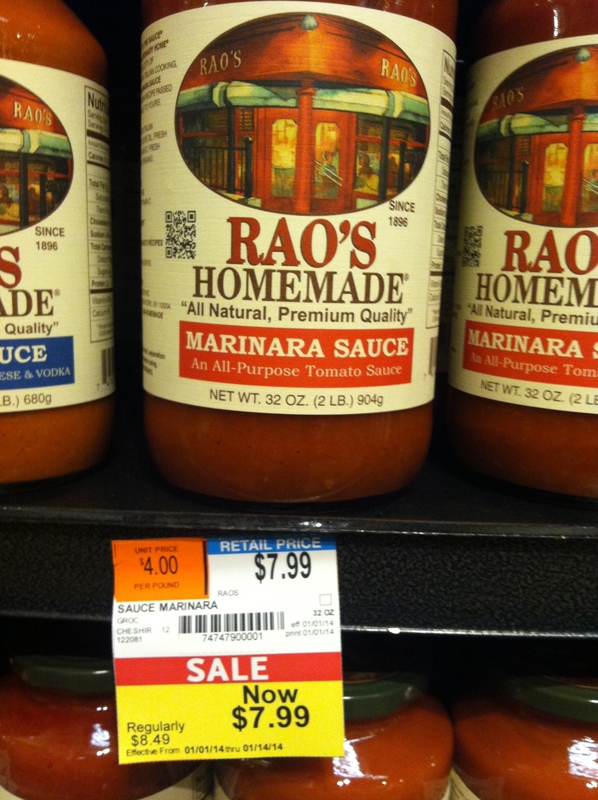 If you don’t need organic and aren’t necessarily watching sodium levels, I would go for Rao’s Marinara Sauce ($7.99 for 32oz on sale). Rao’s sodium isn’t topping the list of sodium heavy brands or anything, but my next recommendation has much less sodium per same-size serving. 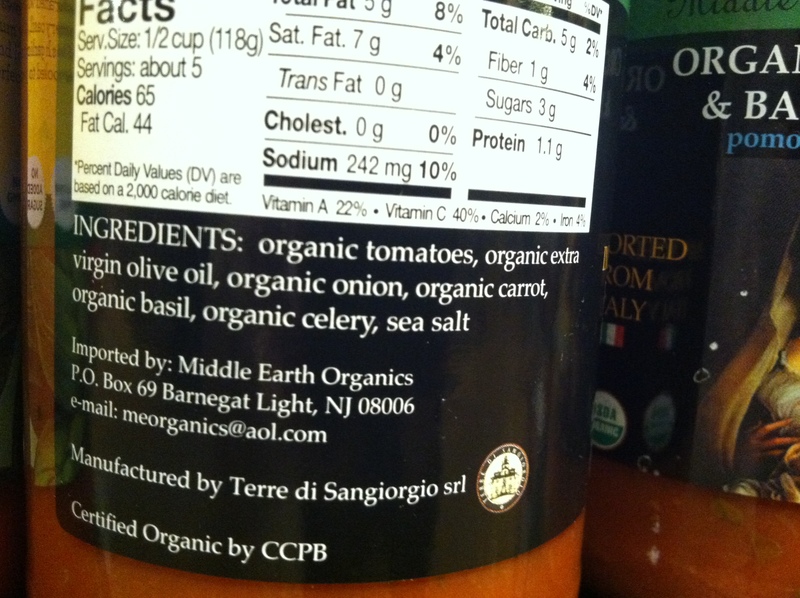 If you want organic (and lower sodium), I buy Middle Earth Organics Organic Tomato and Basil Sauce ($6.49 for 19.8oz, non-sale price). I personally don’t eat tomato sauce, because I can’t eat nightshades, but I buy it for my family and they are happy with either of these. My recommendations are based on ingredients that are straightforward, with no sugar, no canola oil, and a “reasonable” amount of sodium (“reasonable” is a relative term, given the nature of pasta sauces in general!). 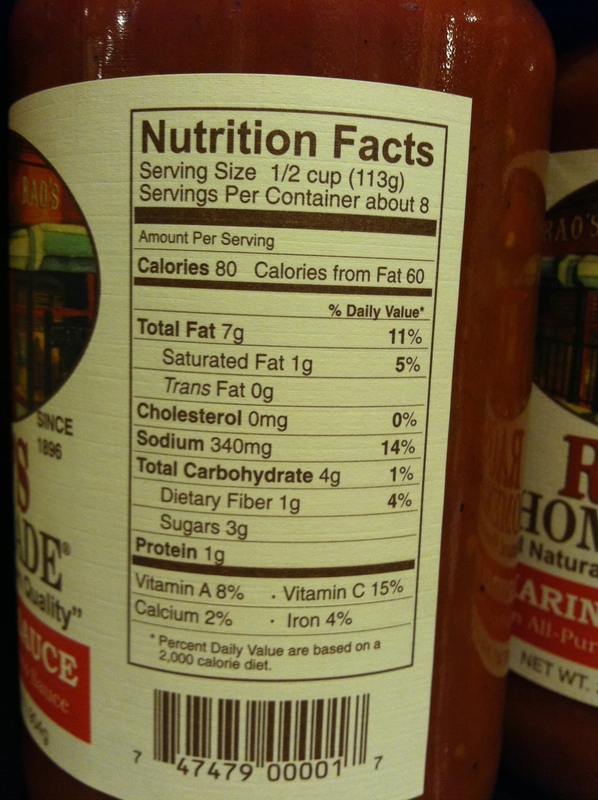 Below are photos of ingredients and nutritional stats. Shredfest NYC – this Sunday – May 18th, 2014! Every year, thoughts of the NYC Shredfest put a spring in my step and a song in my heart! As usual, I’ll be at Union Square, shredding the (approximate) metric ton of love letters, fan mail, and top-secret blueprints I’ve amassed this year as a result of being awesome. Here is the schedule. Get there early. Once that truck is filled, it’s gone! Paleo dining in downtown Manhattan? I wrote a dining guide to help you find great paleo / grain-free options around downtown Manhattan! Enjoy! Alert: Melvin’s Juice Box Open in Chelsea! Melvin, at his new Chelsea location of Melvin’s Juice Box. 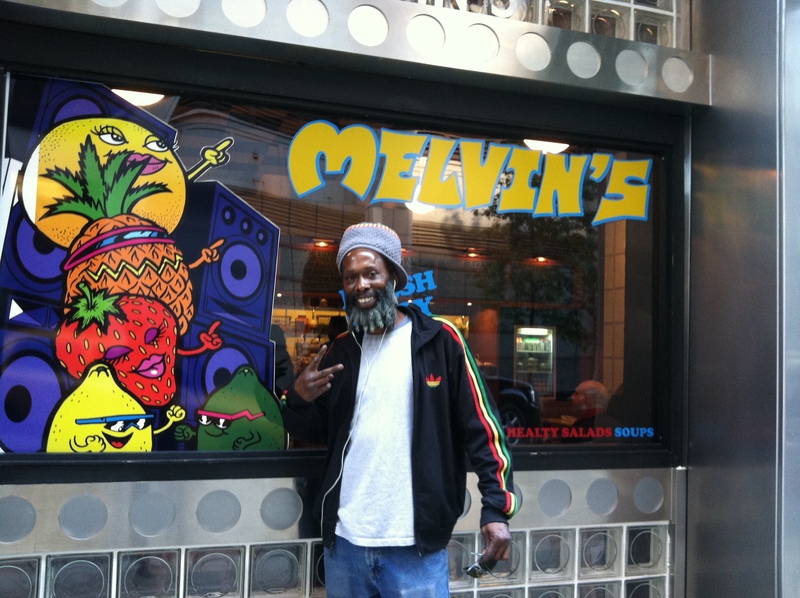 There’s a new Melvin’s Juice Box in the Dream Hotel – 355 West 16th Street (between 8th and 9th Avenues, closer to 9th). I was riding my bike past it today and saw Melvin out front. I have enjoyed Melvin’s juice concoctions for years and am so happy his place is now (relatively) in my neighborhood. Melvin is a great guy – always friendly and positive, and he really knows his juice! All juices are 100% organic, and they also serve soups, salad, burgers, sandwiches, entrees, wine, beer, shakes, and shots (wheat grass and ginger). There is eat-in, take-out and delivery, and it’s open 7 a.m. “until late,” 7 days a week.